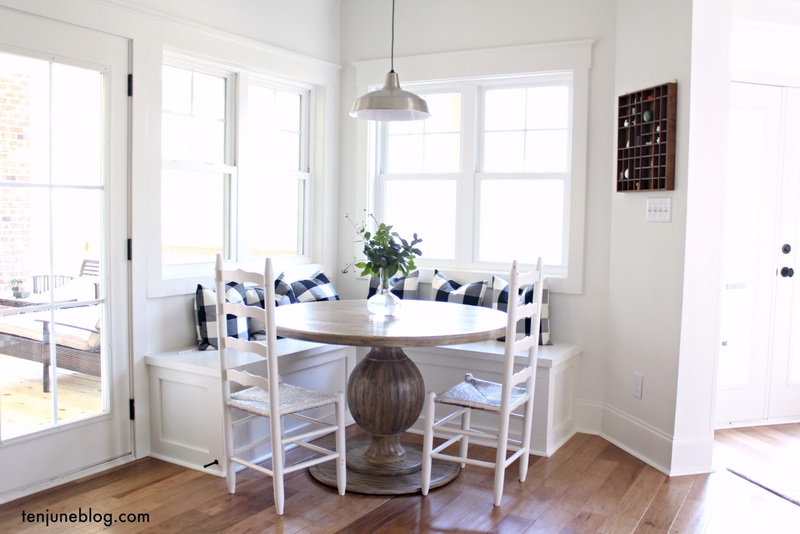 What's better than a fabulous handmade pillow shop that also happens to be my newest sponsor? Meet my gorgeous new living room pillows made by Lacey from The Lacey Placey. 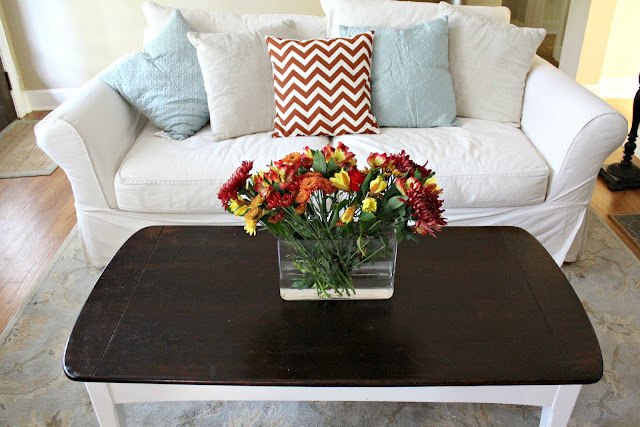 I'm absolutely smitten with my new stone blue patterned pillows for my slip chairs and the rust colored chevron printed pillow for my sofa. They're perfect! I'm also excited to announce that Lacey is one of Ten June's newest sponsors! Her shop could not be more adorable- it's filled with so many fabulous pillows it's not even funny. And she just recently introduced monogramming to the shop... do I spy Christmas presents for friends and family? I'd say so! 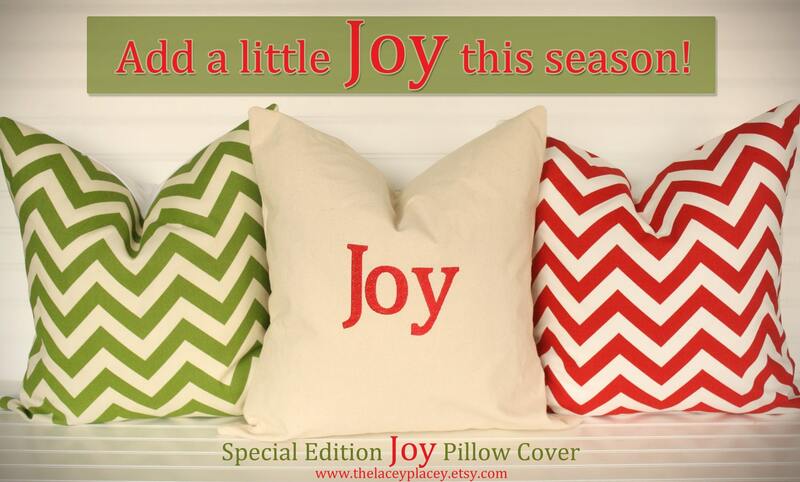 And if you're ready for Christmas like me, how about a few pillows filled with holiday cheer?! Lacey's prices are incredibly reasonable, especially since they're such fabulous quality. 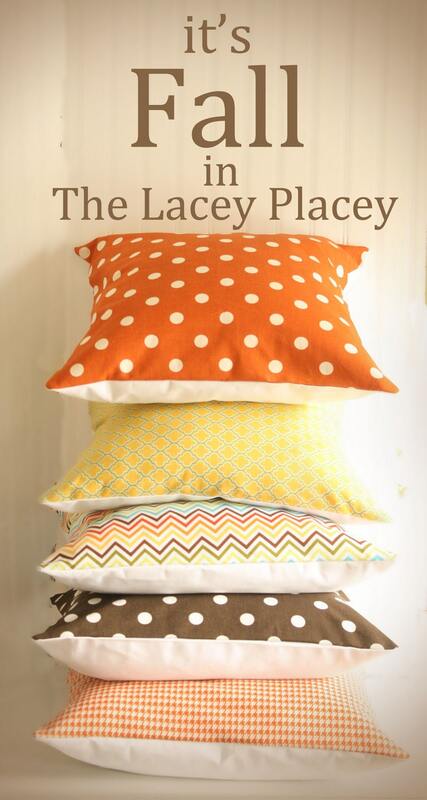 So head on over and pick out a few Lacey Placey pillows of your own! Ahh... one more item to go, that feels good! Love your new pillows girl! Heading over to check out her shop - you can never have too many pillows right? Those pillows are just the right touch! Going to have to check her out!! Can't wait to see the room completely completely finished! And before Christmas...yes! That must feel awesome! Oh, super cute!! Those pillows are exactly the style I am trying to evolve my house into. ;) I have to take things slowly b/c my husband likes really traditional stuff and he hates change. Your couch looks fantastic! Love the new pillows! Especially the ones on the two side chairs. That pattern is beautiful. If I hadn't just made my own pillows recently, I'd totally buy some of hers! She has some great fabric patterns! I'll have to keep her in mind :) Love your new pillows! I really like the blue ones! Looking nice! 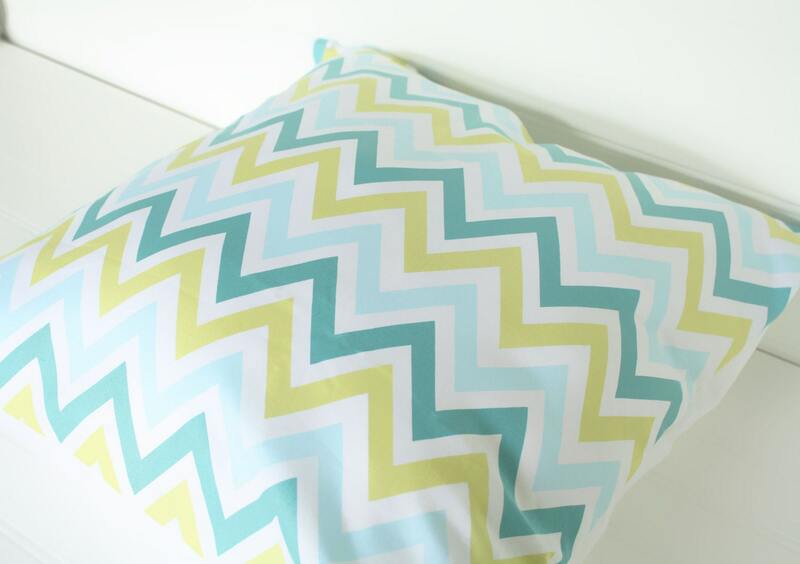 Your new pillows are super cute. . and congrats on the new sponsor! Have so much fun tonight! Love these! 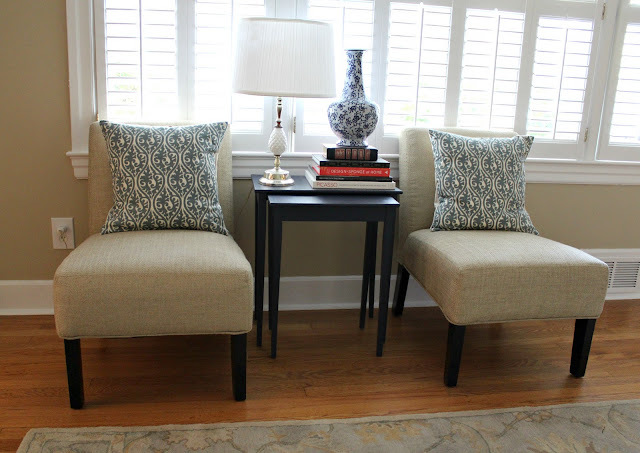 Pillows are perfect for adding punch. I'll be checking out her shop! Loving the pillows. Lacey is so great (: Obviously I adore the chevron ones! 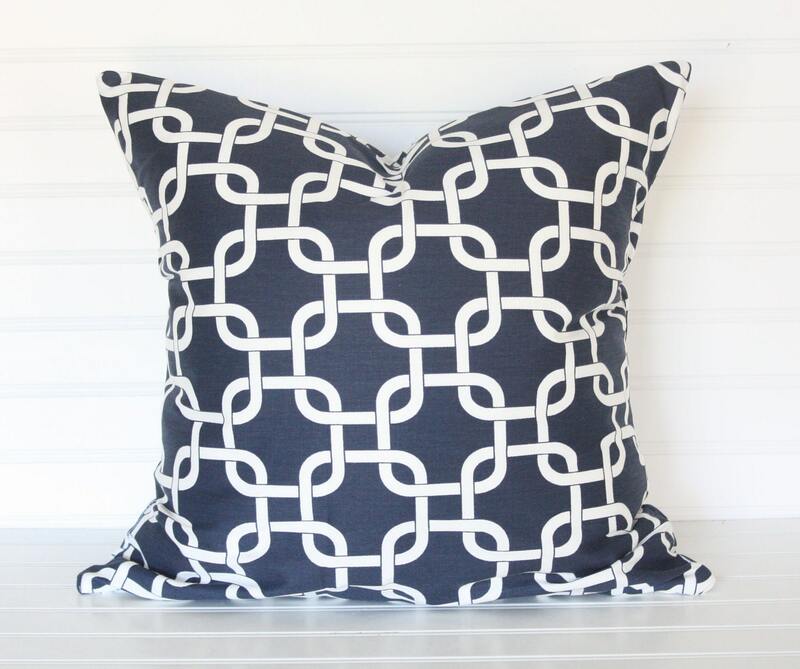 Love your new pillows! Gonna have to check out Lacey's store!! 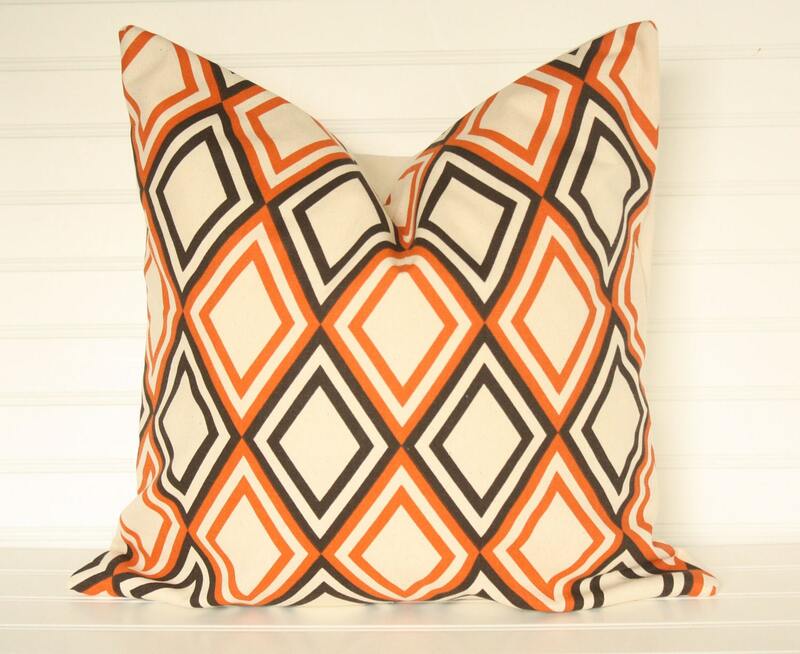 Love love love the new pillows! I need to send you a pic of my living room so you can suggest new pillows for me! Just visited Lacey's store and what a great selection she offers at fantastic prices; will definitely keep her in mind when it's time for new pillows!